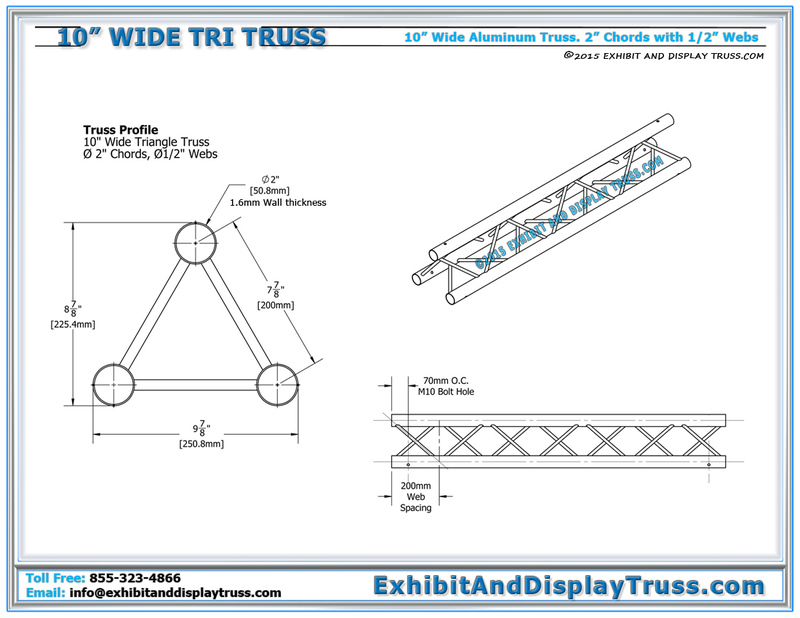 10″ Wide Triangular Truss is apart of our large 10″ wide aluminum truss library. 10″ wide aluminum truss is our most popular truss size and suits a wide variety of applications. 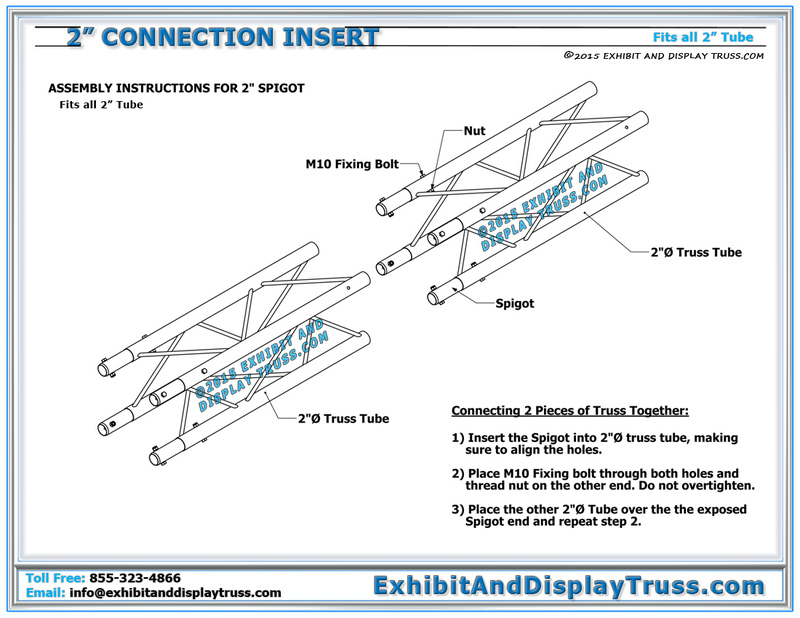 Triangle truss nests together when packed, making it a cost effective choice for truss. 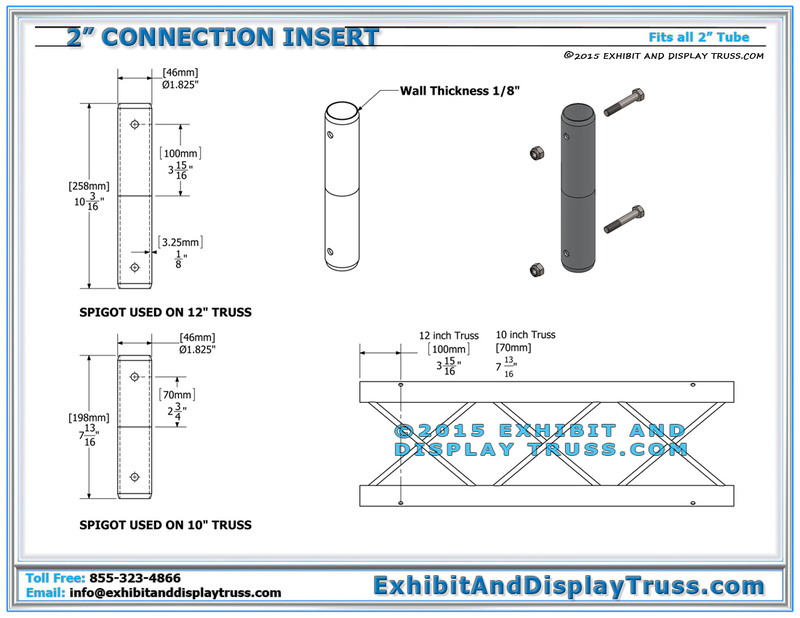 10″ wide triangle truss is also perfect for a wide range of other applications including trade show booth displays, product displays, table top exhibit, and truss arches. As with all of our profile shapes, we can also fabricate curved and circular truss. Our modular truss systems and parts also allow for expansions if you require it in the future. Our truss systems are constructed of durable, high-strength aluminum and steel for supporting LCD and LED TV Stands, banner stands and sign frames, lighting truss displays and other marketing accessories and advertising. 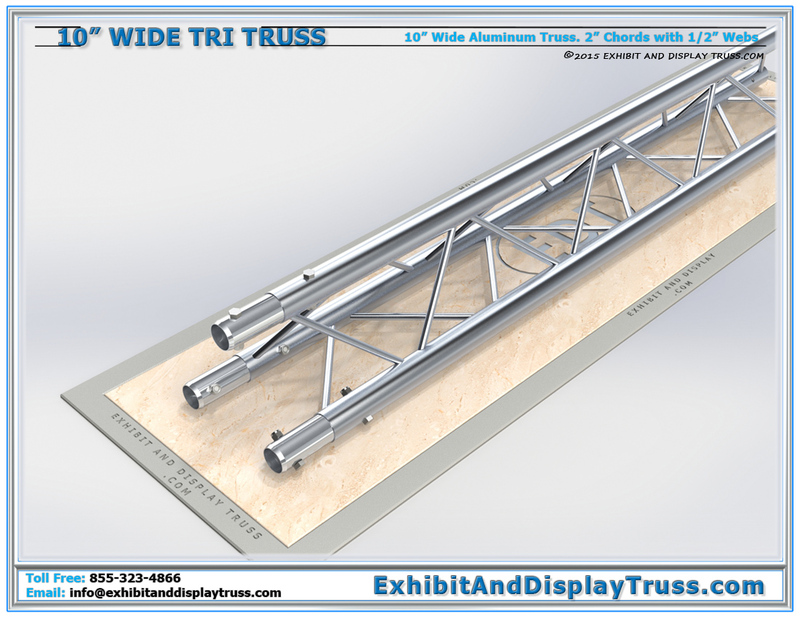 2″ chord truss is fantastic for larger modular aluminum truss systems, perimeter booths, portable archways, finish lines and truss starting lines, table top display, and just about anything you can think of. Let us create your beautiful displays today!